A comet the color of blood and flame cuts across the sky. And from the ancient citadel of Dragonstone to the forbidding shores of Winterfell, chaos reigns. 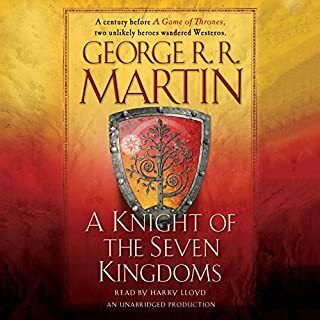 Six factions struggle for control of a divided land and the Iron Throne of the Seven Kingdoms, preparing to stake their claims through tempest, turmoil, and war. Dubbed the American Tolkien by Time magazine, George R. R. Martin has earned international acclaim for his monumental cycle of epic fantasy. Now the number-one New York Times best-selling author delivers the fifth book in his spellbinding landmark series - as both familiar faces and surprising new forces vie for a foothold in a fragmented empire. If the past is prologue, then George R. R. Martin's masterwork - the most inventive and entertaining fantasy saga of our time - warrants one hell of an introduction. At long last, it has arrived with The World of Ice & Fire. 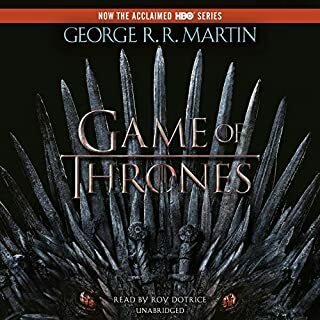 This volume is a comprehensive history of the Seven Kingdoms, providing vividly constructed accounts of the epic battles, bitter rivalries, and daring rebellions that lead to the events of A Song of Ice and Fire and HBO's Game of Thrones. The Fellowship of the Ring, the first volume in the trilogy, tells of the fateful power of the One Ring. It begins a magnificent tale of adventure that will plunge the members of the Fellowship of the Ring into a perilous quest and set the stage for the ultimate clash between the powers of good and evil. 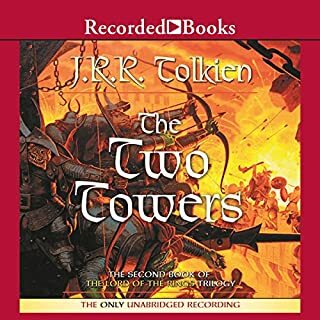 The Two Towers is the second volume of J.R.R. Tolkien's epic saga, The Lord of the Rings. The Fellowship has been forced to split up. Frodo and Sam must continue alone towards Mount Doom, where the One Ring must be destroyed. Meanwhile, at Helm’s Deep and Isengard, the first great battles of the War of the Ring take shape. 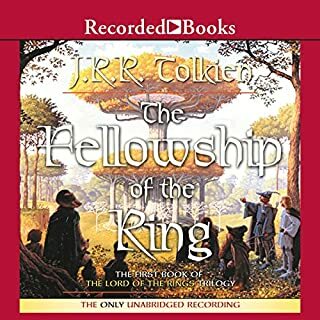 In this splendid, unabridged audio production of Tolkien’s great work, all the inhabitants of a magical universe - hobbits, elves, and wizards - spring to life. Rob Inglis’ narration has been praised as a masterpiece of audio. 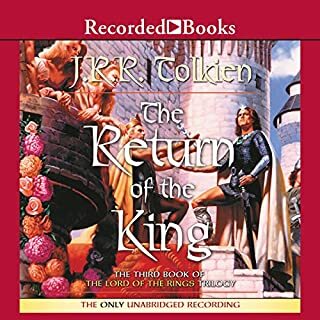 The Return of the King is the towering climax to J. R. R. Tolkien’s trilogy that tells the saga of the hobbits of Middle-earth and the great War of the Rings. 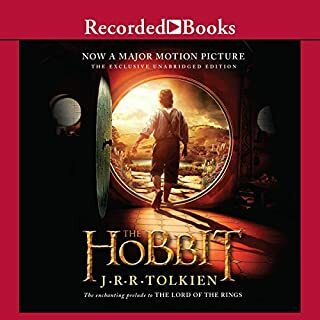 In this concluding volume, Frodo and Sam make a terrible journey to the heart of the Land of the Shadow in a final reckoning with the power of Sauron. In addition to narrating the prose passages, Rob Inglis sings the trilogy’s songs and poems a capella, using melodies composed by Inglis and Claudia Howard, the Recorded Books studio director. Fitting end to an epic story. Like every other hobbit, Bilbo Baggins likes nothing better than a quiet evening in his snug hole in the ground, dining on a sumptuous dinner in front of a fire. But when a wandering wizard captivates him with tales of the unknown, Bilbo becomes restless. Soon he joins the wizard’s band of homeless dwarves in search of giant spiders, savage wolves, and other dangers. Bilbo quickly tires of the quest for adventure and longs for the security of his familiar home. But before he can return to his life of comfort, he must face the greatest threat of all. 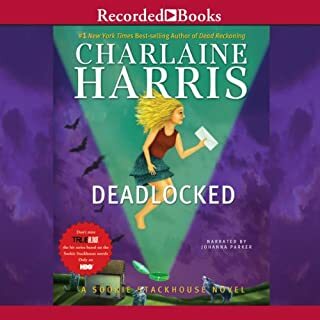 Growing up with telepathic abilities, Sookie Stackhouse realized early on there were things she'd rather not know. And now that she's an adult, she also realizes that some things that she knows about, she'd rather not see—like Eric Northman feeding off another woman. A younger one. There's a thing or two she'd like to say about that, but she has to keep quiet—Felipe de Castro, the Vampire King of Louisiana (and Arkansas and Nevada), is in town. Could you survive on your own, in the wild, with everyone out to make sure you don't live to see the morning? In the ruins of a place once known as North America lies the nation of Panem, a shining Capitol surrounded by 12 outlying districts. 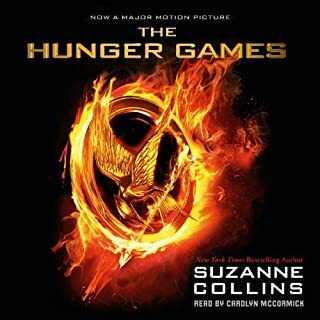 The Capitol is harsh and cruel and keeps the districts in line by forcing them all to send one boy and one girl between the ages of 12 and 18 to participate in the annual Hunger Games, a fight to the death on live TV. ©2000 George R.R. 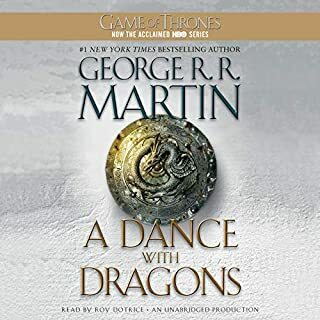 Martin (P)2004 Books On Tape, Inc., published in arrangement with Random House Audio Group, a division of Random House, Inc.
Save your credit and save your $$ as the chapters are out of order and Audible has done nothing to fix it. I downloaded this book and the chapters are completely out of order. I called audible and did all of the troubleshooting and the chapters are still out of order. Audible opened a case file saying that this had been happening to others and said they would contact me. It has been nearly a week and I have still not been contacted. 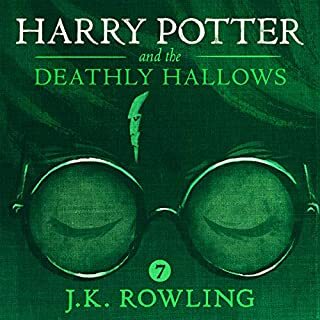 This book was ruined for me as characters kept dying and coming back to life and it was incredibly frustrating which was compounded by the fact that audible has done nothing to rectify it. The chapters aren’t in the correct order! I’m very familiar with this series, and love the story. However I’ve given the performance a poor review because all the chapters are out of order, which really takes away from the story. I noticed when Jamie’s chapters (3 and 31) were interchanged, which confused his whole timeline. Also inconvenient as I listen to these as I drive and I can’t search around the chapters for the right one when the story strays. I spent 47 hours trying to understand why the Author would jump back and forth in the timelines. Had I read the reviews first, I would have learned that this audio book has all of the chapters mixed up. When I reached (what I thought was) the end, a narrator stated there was another part of the book in my Library. this only added to the confusion. It turns out that the ending chapters had already been played and the middle section appeared last , this is completely unacceptable, specially since the issue has been brought to your attention. I am sorry if this is confusing - welcome to my experience. I'm seriously thinking about canceling my subscription. Unbelievable. The entire book is out of order!? Not sure how this happened. I am very confused now about the plot and what happens when. I wish that audible would rectify this issue. The story is griping and the characters are rich and real as ever. Roy Dotrice is a fantastic narrator, however at times the various voices can get tedious. 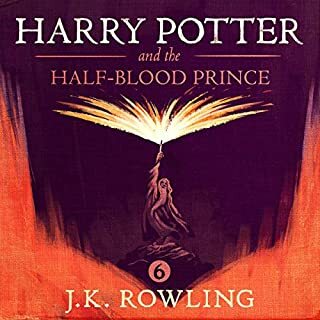 I was a little skeptical to buy this audiobook because of the bad reviews saying that chapters were skipped or omitted but mine played through fine. Very entertaining! GOT just keeps getting better! loved it, cant wait to see where we go from here. starting book 4 asap! I am not referring to the length of the book. The book is as long as it needs to be. I am talking about the narrator. He uses a lot of obnoxious voices and it takes you out of the story. It's a distraction. But here is what is really irritating: he can't pronounce a large number of the names. Gendry is "gentry". Brienne is "BRI-een". Petyr is "Puh-Tire". I think he also gets Varys wrong, but I can't quite recall. If half the characters sounding like pirates or hearing "Brienne" and "Petyr" repeatedly pronounced incorrectly are deal breakers for you, it's a HARD pass. If not, it's an excellent book. I had a very hard time turning this one off... I'd find extra house-work to do or look for traffic jams on the way to work just so I could keep listening. The narrator, Roy Dotrice, is fantastic. This is not a kids book. This is not the usual "you are special and need to save the world" drivel with hollywood happy endings we usually feed on... This one is more...real. The story keeps moving, plenty of action, laugh-out-loud funny parts, hardship, and surprises. Anyone who says G.R.R.M. was only trying to make the book long, probaby wasn't paying attention. 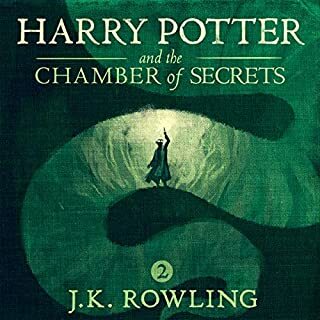 The story and narration are excellent, but is it too much to ask for the audio book to be constructed properly? The chapter breaks do not align with the actual chapters and the parts will end in the middle of a paragraph. Very sloppy and unprofessional. For a $50 audiobook I would expect more. As I sat and listened to the book I found myself once again at the edge of my seat almost. The book seemed to be moving too slowly and yet too fast as I read it. Too slow in that you get impatient wondering what is going to happen next yet everything seemed so relevant and then too fast in terms of when you do reach the end you are left pining for more. George R. R. Martin did a superlative job with every character in the book. This particular book has one of the most startling twists yet, one of those twists that make you think "What the?!?!" I remember listening what happened and for a VERY VERY long time wondering "Did that really happen?". He spares no one in these books I find and I have now come to expect the unexpected. Roy Dotrice.... What can I say? There is little I can say about his performance except this... just plain exceptional. Now I know there have been so many reviews that I hesitate to add one. I just wish to say I enjoyed these books tremendously. This one is the third of the series "A Song of Ice and Fire", whose title takes more and more ominous tones as the story unfolds. 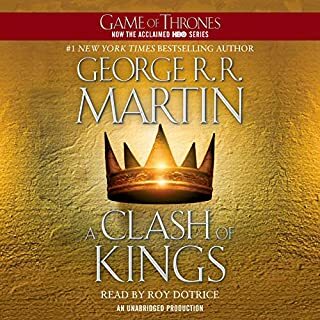 The first two books were "A Game of Thrones" and "A Clash of Kings", and although I haven't written a review of those, I agree with all those who raved for the book. I loved them all. How else could you listen to this third volume (38 hrs?!?) So I assume I am preaching to the choir here. 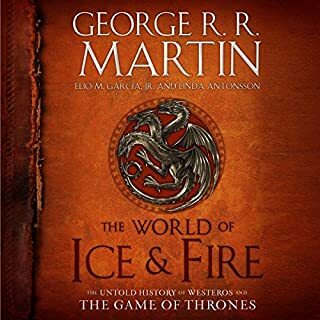 If by any chance, you haven't listened to the first two, you really need to start with GoT (as the first volume is called amongst fans). Absolutely. For the fans, I just wish to say that the fourth installment comes in November. I've already asked Audible when they plan to provide the audio version. I find these books more immensely enjoyable in audio form, although I recently bought the paperbacks as a reference, esp. when the fourth volume comes out. It'll be handy, and more easily browsable than an audio version. So there. If you don't know where the web site is, and would like to read the announcement from the author himself, google it or go to georgerrmartin.com. 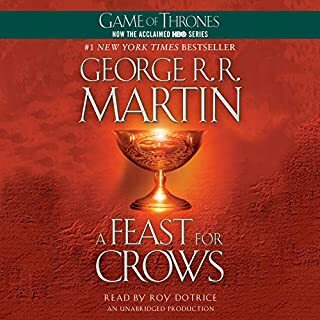 In a previous page (now defunct, I wonder why) he explained that his choice for "A Feast for Crows", as the fourth tome is going to be named, is to take apart the book he'd be writing and only keep the part about the Seven Kingdoms (yeah! my favorite!) The part about Daenerys and the Isles is going to go into the next installments. This way he'll be able to finish the fourth in time, and in fact it makes more sense to him. And to me too: it was a bit irritating to jump back and fourth between the two continents in two stories which we knew wouldn't come together till much later in the story (perhaps not even in the next two volumes). For those of you feel same, my favorite character is Arya. Can't wait to hear her story. Yeah! This review contains comments on Books 3 and 4 of the Ice and FIre series. The popularity of the HBO series, Game of Thrones has enticed many folks to pick up and start plowing through the entire series of tomes from which the TV shows derive their inspiration. And, once you’re sucked in, it’s pretty much like quicksand. The brilliant acting of most, if not all, of the characters along with the masterful writing of their roles and place in this Tolkienesque saga makes us easy prey for this quagmire. But beware good reader, there is much more to this sticky wicket than a mere addiction. 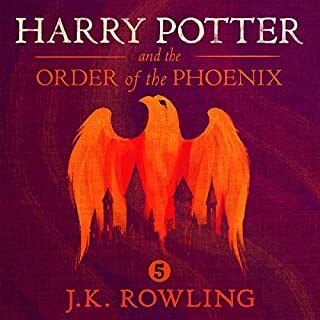 Before you get too heavily invested in this series, if you haven’t already, you owe it to yourself to pay attention to the negative reviews of Books 4 and 5. Among those reviews, the breakdown in narration after Book 3 is particularly egregious. I am generally a fan of Roy Dotrice. He is not my favorite narrator / performer but he is unquestionably a very good one but mostly for playing the roles of older men. The characters of young men seem to present Mr. Dotrice with something of a challenge and that of female characters, especially young ones, a challenge that is unsurmountable. That being said, Mr. Dotrice’s contribution to the powerful and stunningly produced first three books in this series was not insignificant. There were parts in the writing of those that seemed to drag on and on too long but they were still made entertaining by the narrator. In Books 4 and 5 there were many more dull, uninspired passages that were also made less entertaining by the narrator. And, that being said, what in the heck is up with the changes in pronunciation of names and the voices of their owners? Was anyone paying attention to the editing and production of these last two books? I don’t know if it was Random House Audio or Audible who dropped the ball here but it all starts with Roy Dotrice. He’s the common denominator here and has to be aware of this huge distracting shift that took place between books and has to have the most responsibility for better quality control. As far as the story goes, I will repeat here some of what I wrote in a review of Book 1. 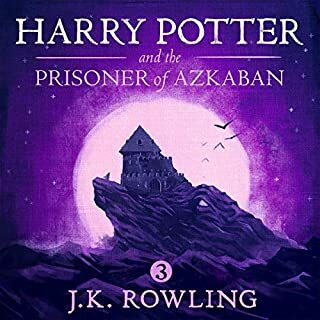 While I loved a lot about the writing in the first installment, I cared so much about the characters, to have so many of these good and honorable protagonists tortured and killed, I thought that I did not need to continue beyond Book 1. But, continue I did and was not sorry after Book 2. I enjoyed the third installment but things slid downhill in all respects after that. There are characters that I am still interested in and wish to know about their fates, even a couple of the villains. But, will I invest 2 more credits in this series? Me thinks not, at least not at this time. It is not That great. Oh, and lest I not forget, the ending. Book 4 contains the very worst ending of any book I have ever picked up. If an author lacks so much imagination that s/he cannot satisfyingly end a book even if it is not the last in a series then me thinks the author's imagination needs work. I believe that authors owe it to their readers to finish a book and not just entice their readers to buy the next installment. Shame on you GRRM. Book 3 was an excellent book. It left many unanswered questions but at least had a decent conclusion. And, dear reader, you may wish to just end your addiction with Book 3. It's all downhill from there. 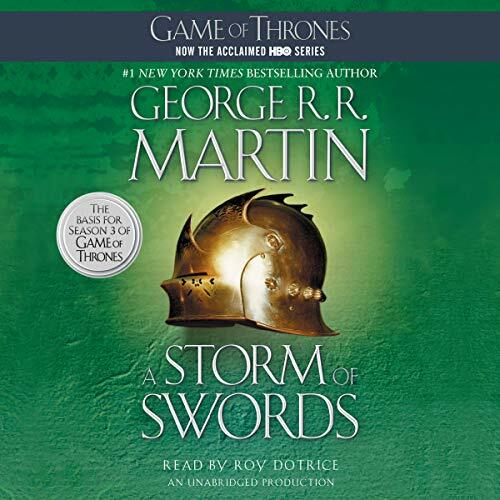 Would you try another book from George R. R. Martin and/or Roy Dotrice? Read this book because it's good, but the performance by Roy Dotrice can often times be so mush-mouthed and affected, it makes many of the characters he portrays completely unintelligible. Sadly, we only have his performance to listen to. I wish the narrator put a lot less Cockney in his characterizations. 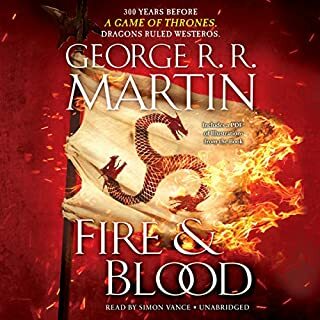 I just finished this book, the third in the series and it was the best 40+ hours of audio book I've ever listened to. I have listens to well over a hundred audio books and all 3 of these books stand out as the very best. 110 hours and I could do it all over again. I will wait and check each day until the next book to ready. Powerful fantasy written for adults. I love this series and was very eager to continue but the chapters are all out of order and I don’t have to put them in order. I expected more from an official audiobook app. The narrator is okay for male characters but sounds horrible when he impersonates a female or a young man. Great performance, very good storyline, with some minor dialogues that could have better, especially those of Lisa Arryn, but great overall!